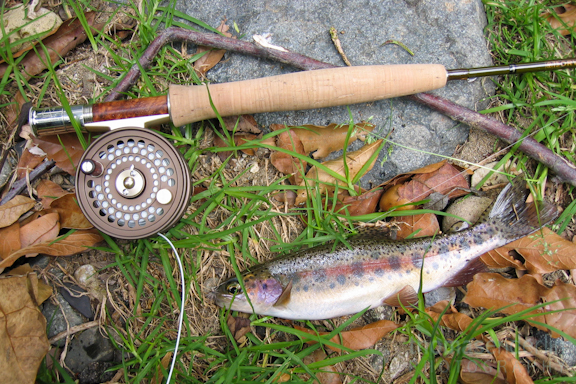 Its early January, the start of the dry season, and I hop into a truck packed with the necessary gear to glimpse the first trout of the year. 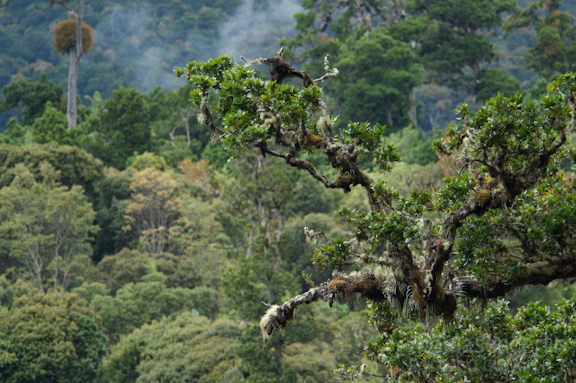 With me I have little more then a thermos of freshly brewed coffee, rubber boots, a fly rod, and a box of dry flies replicating the myriad of insect life inhabiting the cloud forest I intend to fish. I barrel through fog blanketed intersections, the only car on the road, and slalom around potholes towards the high mountain peaks of tropical Costa Rica. 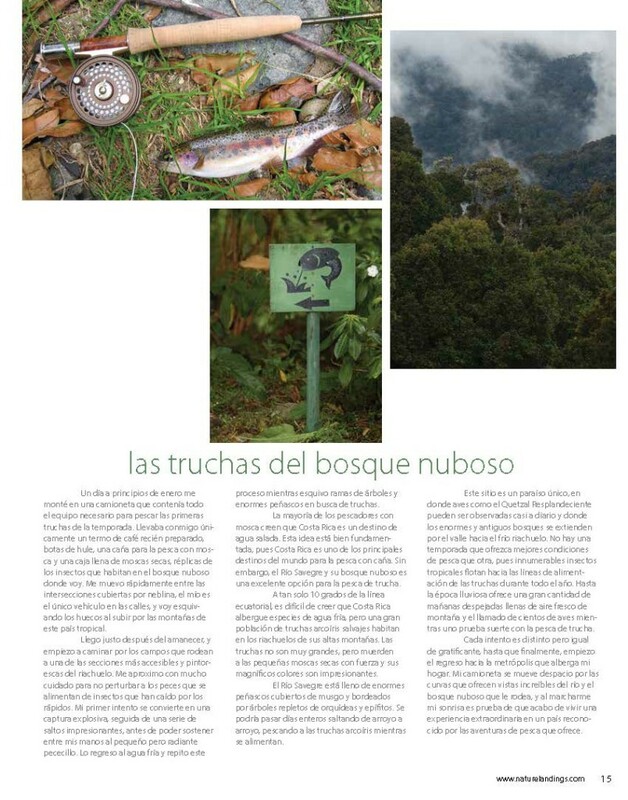 Mention Costa Rica to most fly fishermen and their common reaction is saltwater playground. 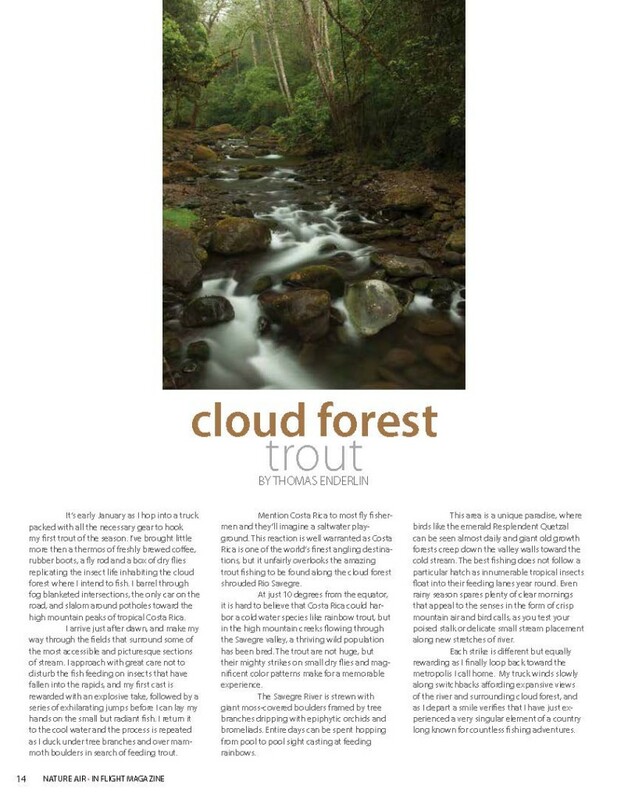 This reaction is well warranted as Costa Rica is one of the world’s finest angling destinations, but an often overlooked fishing opportunity in equatorial Costa Rica is trout fishing in the cloud forest shrouded Rio Savegre. One would think that an area this close to the equator could never harbor a cold water species like rainbow trout, but in the high mountain creeks flowing through the Savegre valley a rather beautiful fish has bred into a thriving wild populaton. The fish are never huge, but the mighty strikes on small dry flies and magnificently colored trout make this a truly memorable experience. 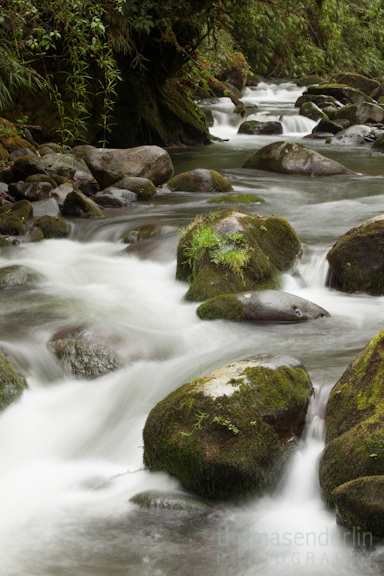 The stream is strewn with giant moss covered boulders framed by tree branches dripping with epiphytic orchids and bromeliads, and one can spend entire days hopping from pool to pool sight casting at feeding rainbows. 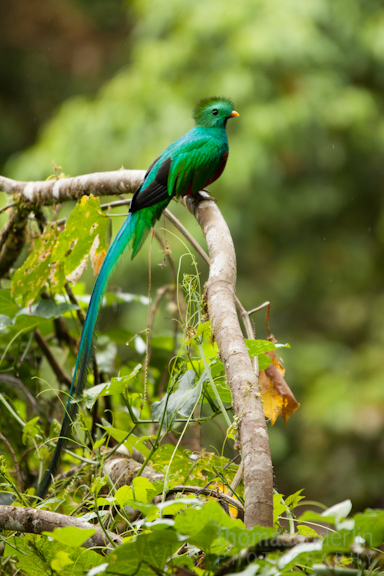 This area is a unique paradise, where birds such as the vividly colored Resplendent Quetzal can be seen almost daily, and giant old growth forest creeps down the valley walls towards the cold stream. 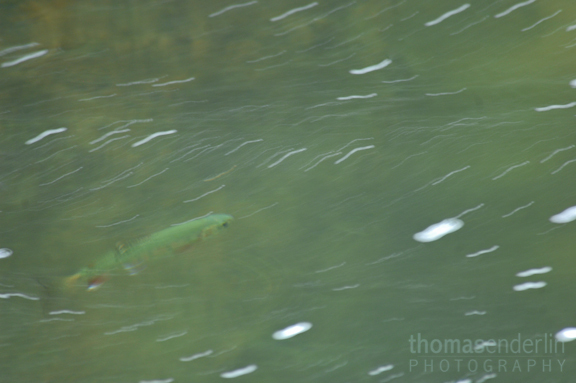 The best time of year to fish is not necessarily due to any particular hatch as these fish are constantly offered innumerable tropical insects floating into there feeding lanes, and even the more rainy times offer clear mornings which appeal to the senses in the form of crisp mountain air and the serenade of hundreds of unseen birds as one heads to a new stretch of water to test skills such as poised stalk and delicate small stream placement. This can be followed by a hot lunch while watching the emerald hummingbirds chatter at feeders that almost all the romantic mountain lodges have strategically placed. I arrive just after dawn, and make my way through the alp-like fields which surround some of the most accessible and picturesque sections of the stream. I approach with great care not to disturb fish feeding on the insects that have fallen into the alluring rapids, and my first cast is rewarded with an explosive take, followed by a series of exhilarating jumps before succumbing to the bank to exhibit a small but radiant fish. I release the fish, and the process is repeated as I duck under tree branches and over mammoth boulders in search of feeding trout. Each strike is different but equally rewarding as I finally loop back to find my waiting car and head back to the metropolis I call home. My truck climbs slowly up the switchback road affording expansive views of the river and surrounding cloud forest, and as I depart a smile verifies that I have just experienced a singular angling element in a country long known for countless fishing adventures.